On the morning of January 1, 2012, Marla Steele stood on a mountaintop on the outskirts of Jim Corbett National Park in northern India. There she saw a Pallas’s eagle for the first time. 9:30 am, ~10-15 C, Adult flew into nest with reported two chicks (one confirmed so far). Nest is located in the apex of three large branches out from the main trunk of the red silk cotton tree, alongside the Kosi River. A single call was heard. No clear indication of chick’s age, but natal down can be seen. But the Asian raptor continues to disappear, and Steele wants to know why. 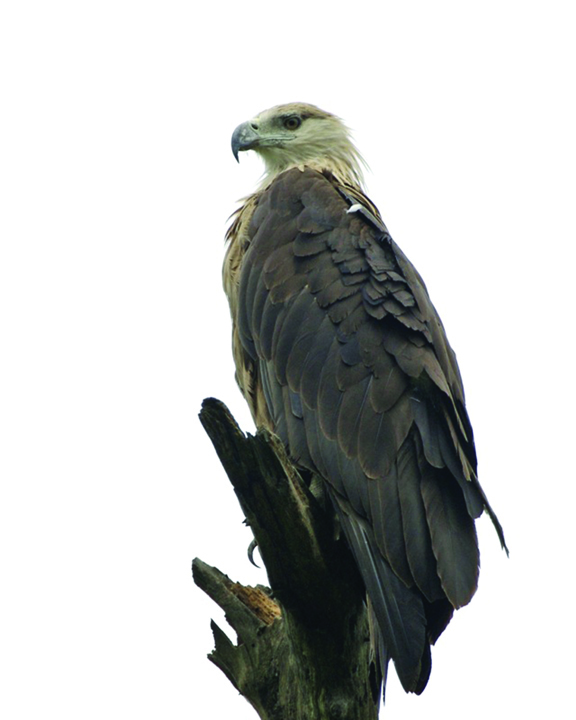 She is one of a handful of people in the world who are studying the Pallas’s fish eagle, a large fishing eagle that is mainly dark brown, with a light brown to white head and neck. It breeds in Central Asia. The eagle is classified as “vulnerable,” by the International Union for Conservation of Nature. Fewer than 10,000 adults are known to exist. It is the most poorly studied eagle in the northern hemisphere, Steele said. “There have not been any detailed migration studies, there is almost nothing known about what their non-breeding habitat requirements are, and from what I have seen, there hasn’t been a complete survey for that species conducted in the last 30 years,” she said. Steele hopes to fill those gaps with her fieldwork in India and Mongolia, which she will use for her dissertation. This spring she traveled to India for a second time, where she studied the birds for a month in addition to collecting fish on which the eagles feed. Local farmers may be polluting the wetlands with pesticides, causing a precipitous drop in the eagle’s population there, she said. 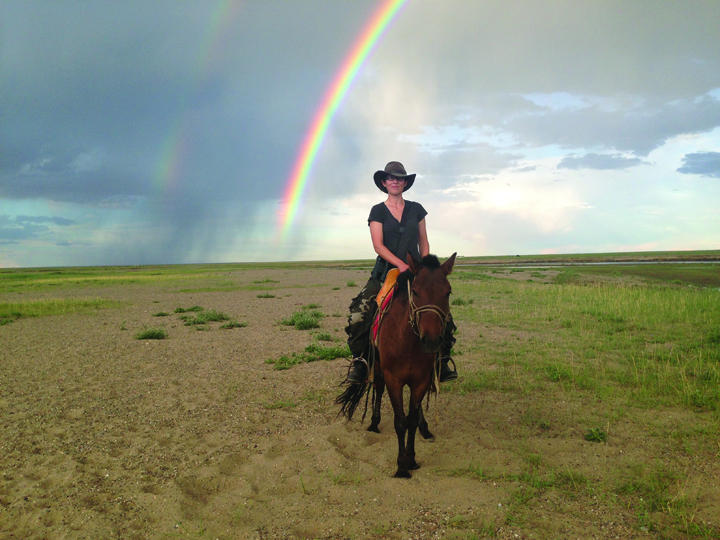 Steele traveled to Mongolia in the summer of 2013 to continue her fieldwork and also to trap two Pallas’s fish eagles. She attached electronic tracking units to them that will transmit data to Steele’s computer. “The goal right now is to provide a baseline study from which future researchers can take information,” she said. “We can’t work on conserving a species that we don’t know anything about. The bird used to be one of the most common raptors along waterways about 100 years ago. Their range extended from Russia to Myanmar, from the Caspian Sea to the middle of China. They’ve been extirpated in almost all those countries. We really don’t know what happened. Steele came to the U of A in 2010 after earning a bachelor’s degree in natural resource ecology and management from Oklahoma State University. As an undergraduate, she presented a paper on Japanese raptor migration at the Asian Raptor Research and Conservation Network’s annual meeting in Ulaanbaatar, Mongolia. She came to the University of Arkansas to study under James, an expert in ornithology.